Yeah that thought crossed my mind when I was trying to do too many things with Mirri before and scrapped it for this version. Glare of Subdual used to be on that list, and I ended up cutting most of the cards that tap opponents' creatures because they weren't really worth it. However Glare would still be useful in keeping Mirri tapped without need of the combat step and would allow me to get rid of any unfavorable blockers beforehand. I'll probably make room for it. I want a Maze of Ith , but I have another deck it will go toward before this one, but it would definitely be useful here. Kor Haven might have to do in the meantime. I used to have Basilisk Collar and Godsend in my old list as well. Somehow they didn't make it to this version. 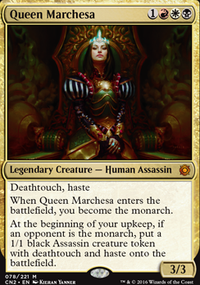 I wish Godsend didn't require 6 mana to get it on her, but with how much I can ramp I think it'll be all right. I don't know why I never included Bow of Nylea since it really should be in the deck. Thanks for the feedback! I'll take a look at your list as well. 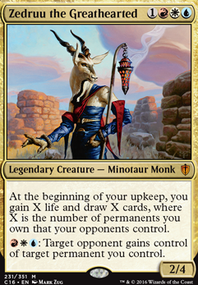 I have a similar deck that plays well, here: Mirri, Weatherlight Duelist. Having options for tapping Mirri without attacking is helpful. Cryptolith Rite is good, but I'd also add Glare of Subdual . Both have done a lot of work in my deck. Maze of Ith and/or Kor Haven will help complete the pillow fort. Since she has first strike, Basilisk Collar , Godsend , or Bow of Nylea will eliminate most worries about her dying in combat. @AkaAkuma - As far as Urborg goes, it's probably not needed, I just have the habit of shoving it in any black deck for the occasional color fixing honestly. 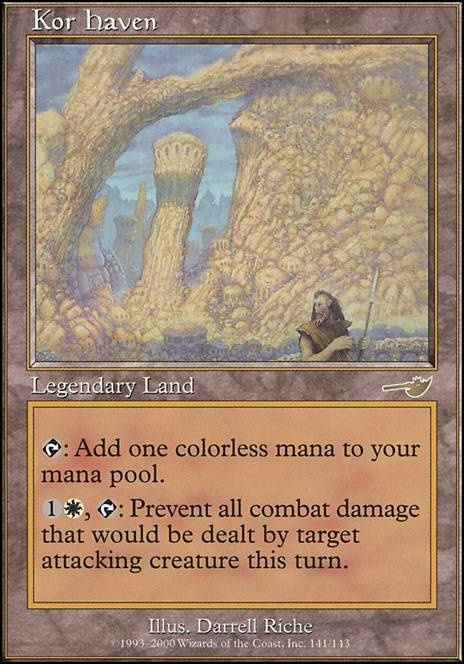 I've considered a few other lands I own but hesitate due to them only adding colorless mana. Yavimaya Hollow , Strip Mine , Kor Haven , Phyrexian Tower , Ancient Tomb , and Gavony Township are all options I own. I'm also considering dropping a land due to my curve being so low... so there is that. Keep my land count at 35 but add a different land? Or replace Urborg with a sac outlet? Any other suggestions for cuts good sir? I'm keeping Mazirek in (for now) to see how he'll play with more sac outlets. I'll see how that goes when I get them in here. SoukaJerkCoach on Who needs a Scion, when Ur-the Dragon?! 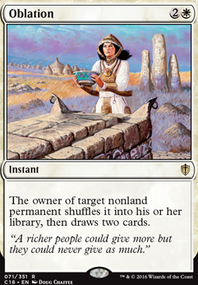 Considering I play in a group where 1 or 2 players may have Glacial Chasm or other lands such as Maze of Ith or Kor Haven , I would consider having a land such as Strip Mine . I would also consider Insult for a finisher and could also be used if you play in a group where Fog effects occur often. Awesome deck though! I've been looking for a good source of inspiration to create a Ur-Dragon deck. Good stuff! 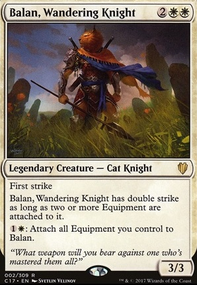 So actually one of the great things about playing mono color decks is that you can stuff in a bunch of utility lands, because in early game you only have one two drop with 2 colored symbols, and in late game you usually don't need more than like 4 or 5 colored mana symbols. You're probably fine with your lands as is right now, but just check by play testing of course. Steelshaper's Gift is definitely a stronger option, and you've got a nice few pieces equipment to find with it. I also agree with your decision to put in Coercive Portal , it seems to fit pretty well with your deck. Like I said earlier, your sideboard is full of great options. 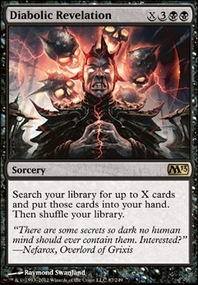 The reanimator cards, removal spells, Pristine Talisman , and Authority of the Consuls are all excellent. Or if you do want to splurge on the more expensive cards, you can try replacing some of the other expensive ones that you have in your deck. For example, I personally would rather an Archangel of Thune than Runed Halo and Kor Haven . Additionally, I don't find tutors to be enjoyable to play with, and it will definitely save money, but I'm in the minority on that. But selling or trading might take some time and effort and I can definitely understand not wanting to. The deck looks awesome now, I think I'd have a lot of fun playing with and against it. Glad to see how much it's improved, keep up the great work! I initially did, but having played with it in other decks and only activating it once (I think) over many games led me to leave it off the list. That having been said I'm pretty sure I want that Skeleton Key back in...thoughts on a cut?